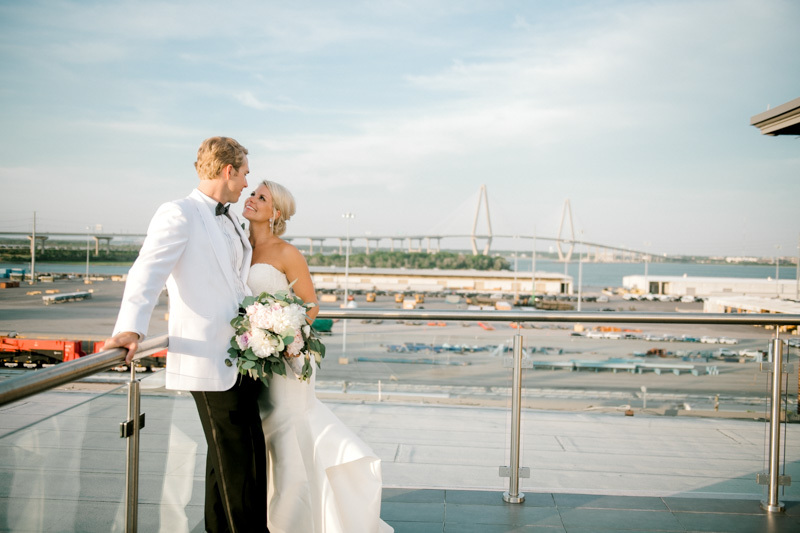 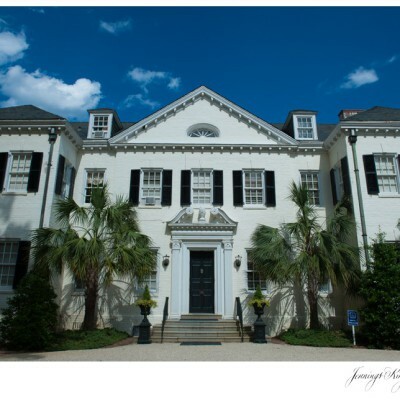 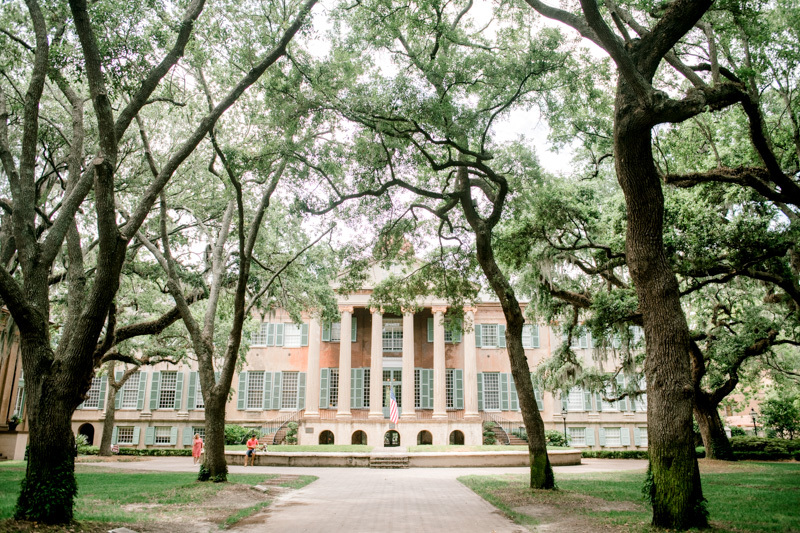 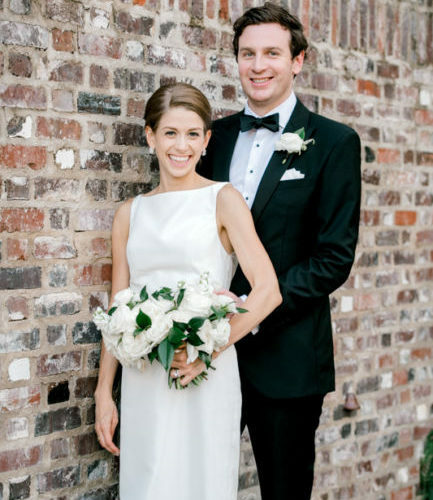 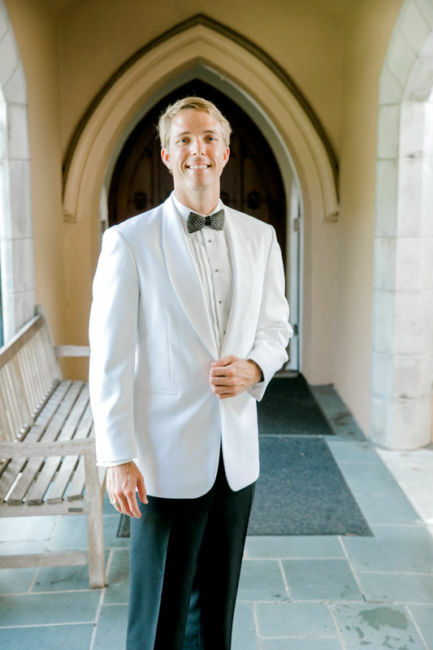 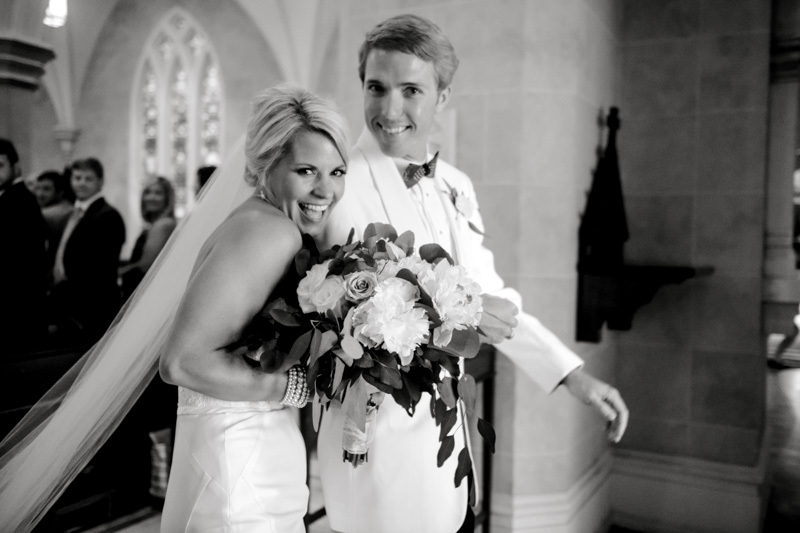 Whitney and Chris both grew up in Charleston and even attended the same schools growing up. 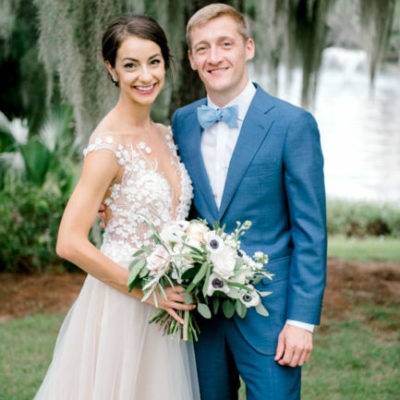 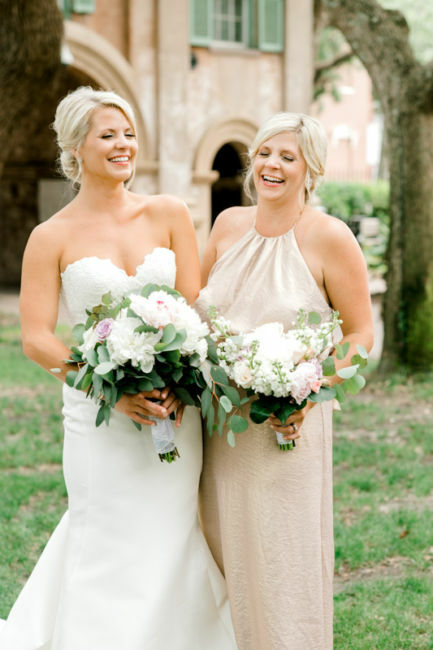 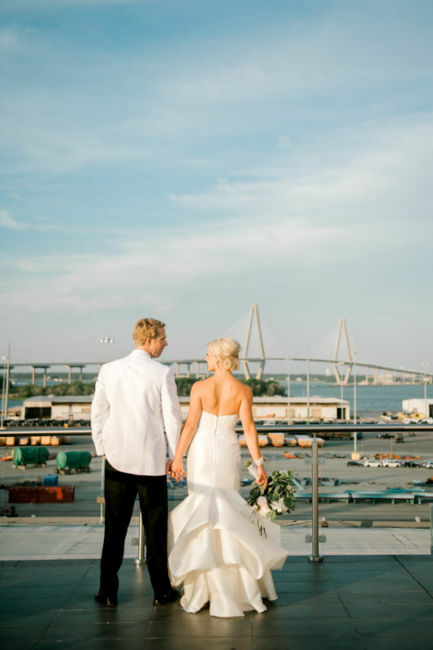 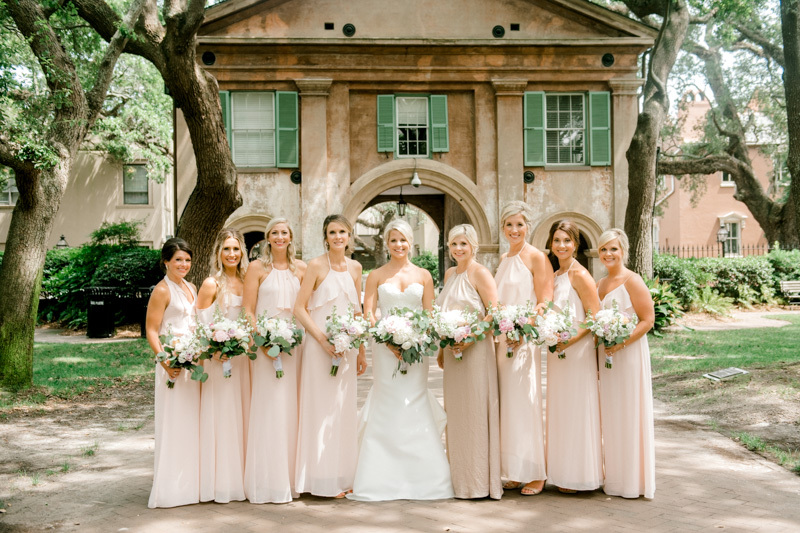 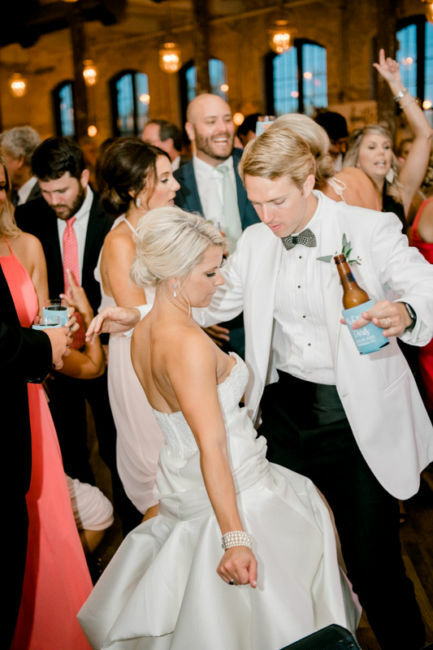 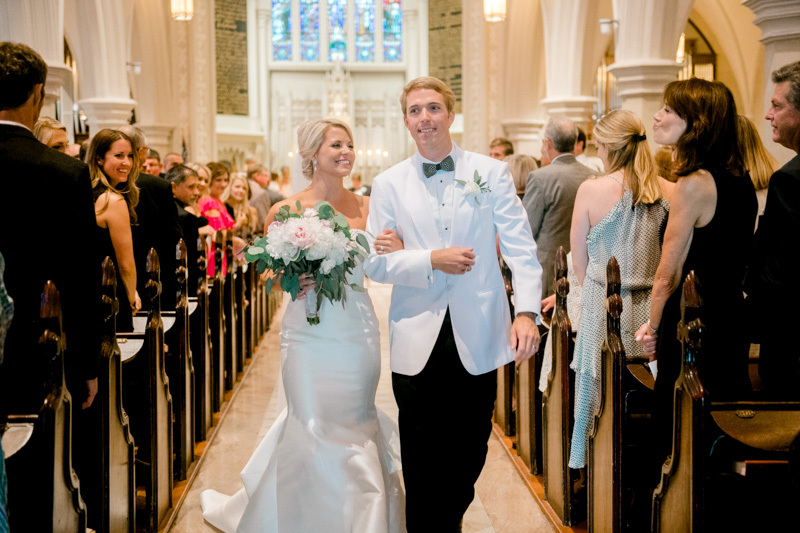 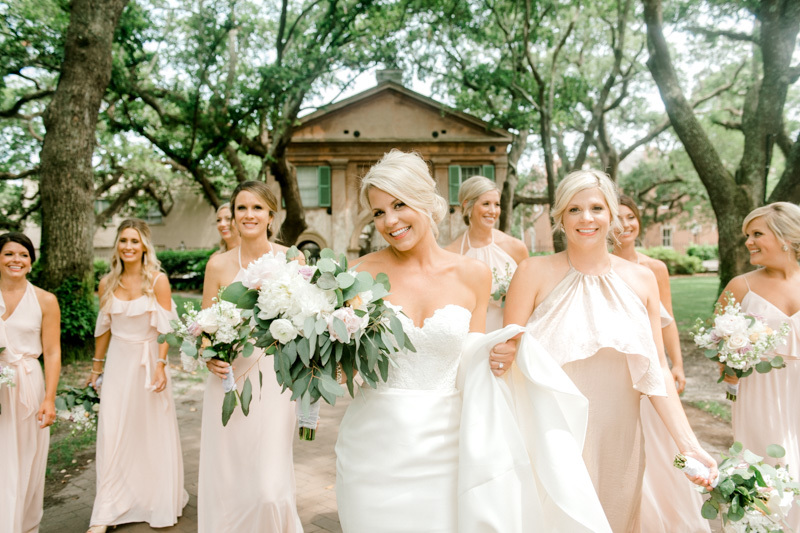 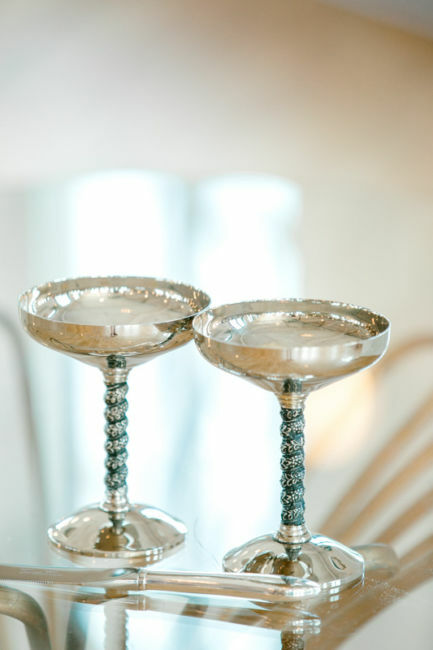 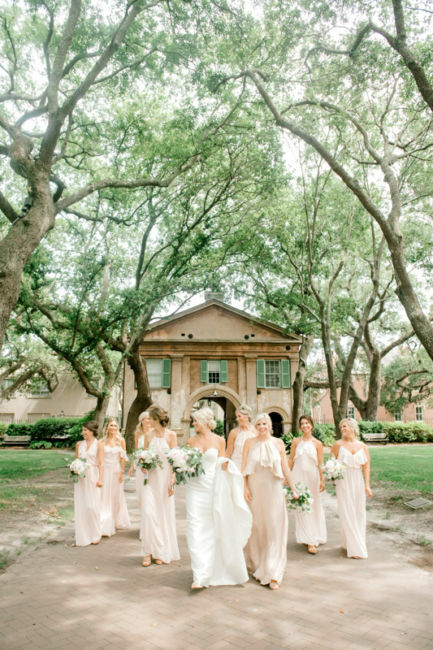 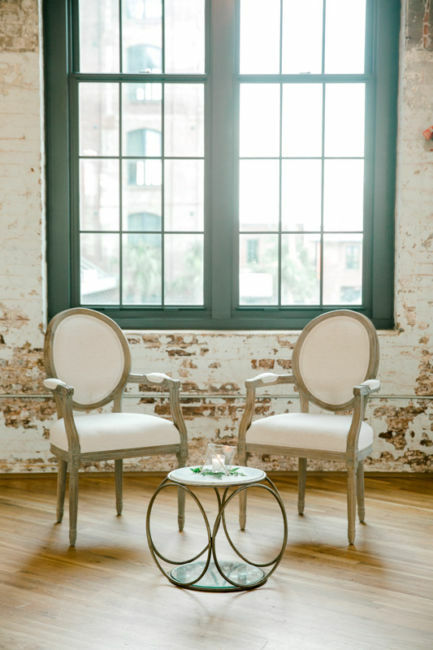 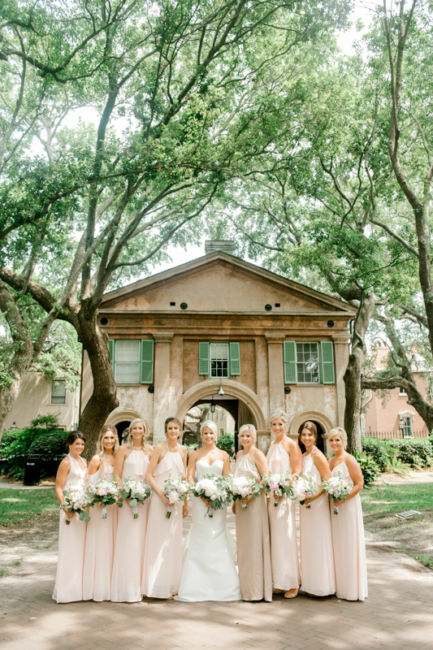 Their paths never really crossed until Memorial Day weekend in 2016 when they both ended up together at a local Charleston bar, and the rest is history! 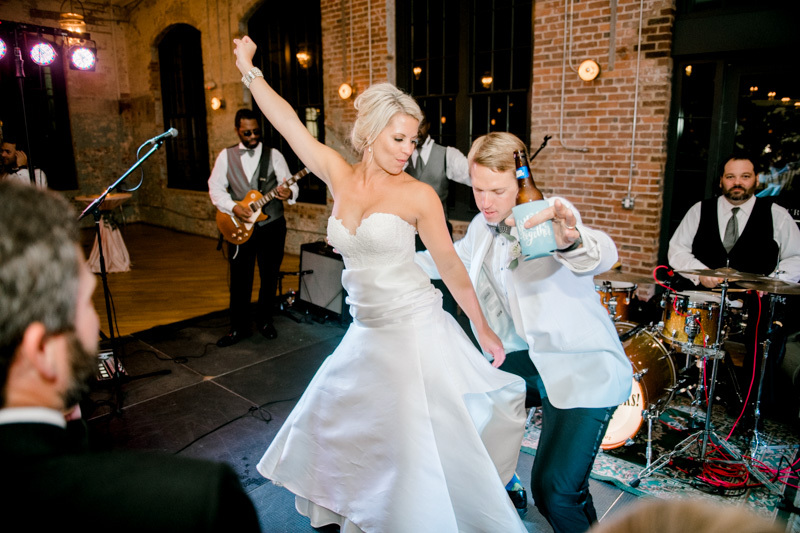 Whitney and Chris love to be silly and have fun together! 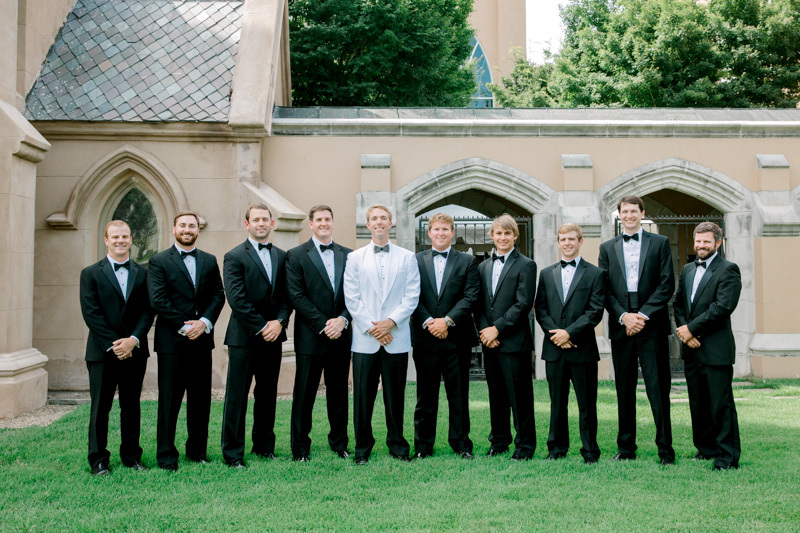 Chris is a graduate of The Citadel and also a Gamecock fan. 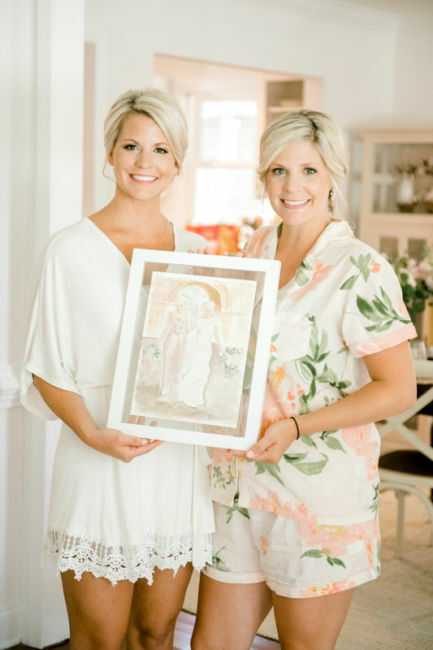 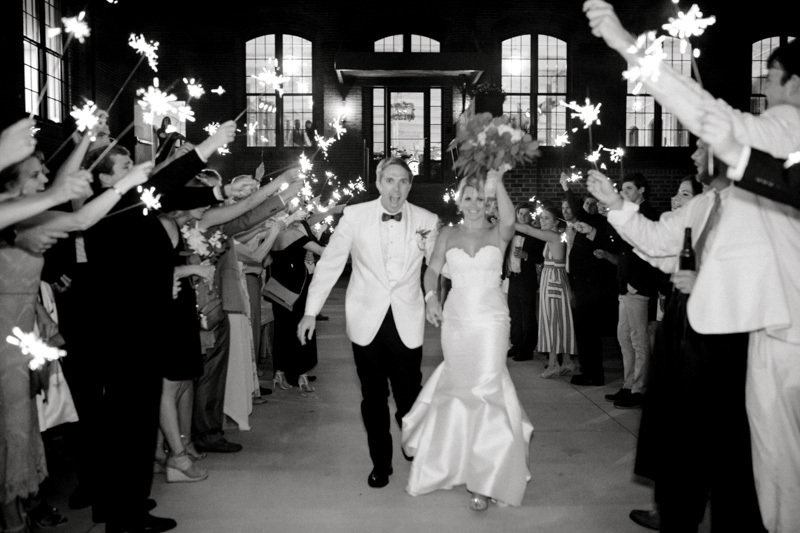 Whitney graduated from Winthrop University but was born and raised to be an Alabama fan! 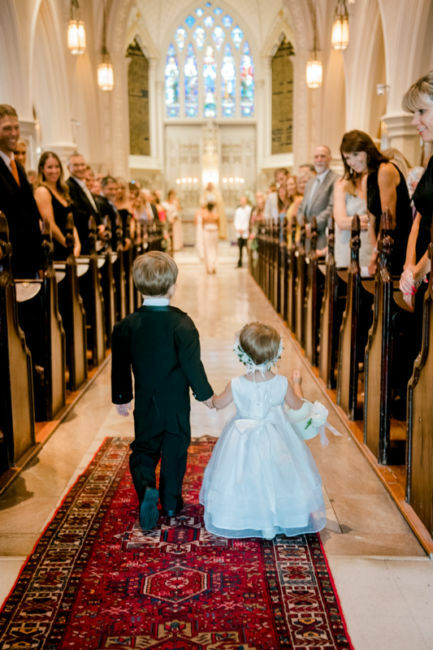 Sports are a great diversion for them no matter what team. 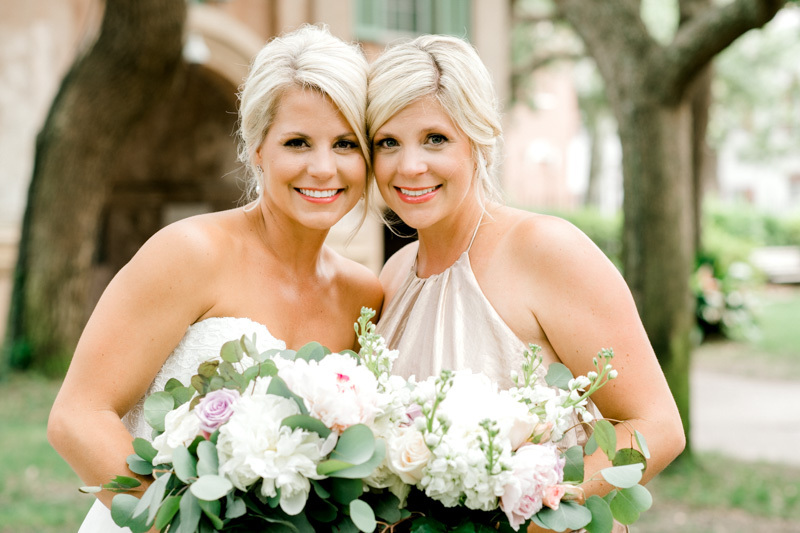 They are both very passionate about their jobs – Chris is a medical sales rep and Whitney is a labor and delivery nurse. 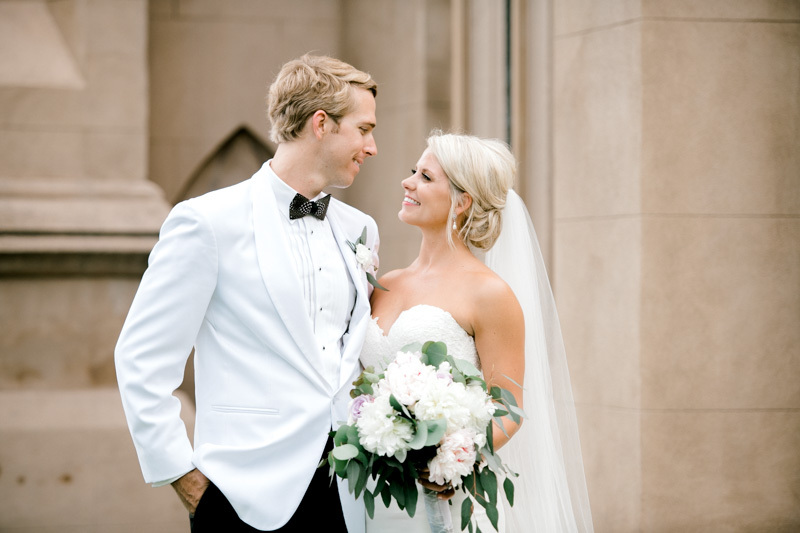 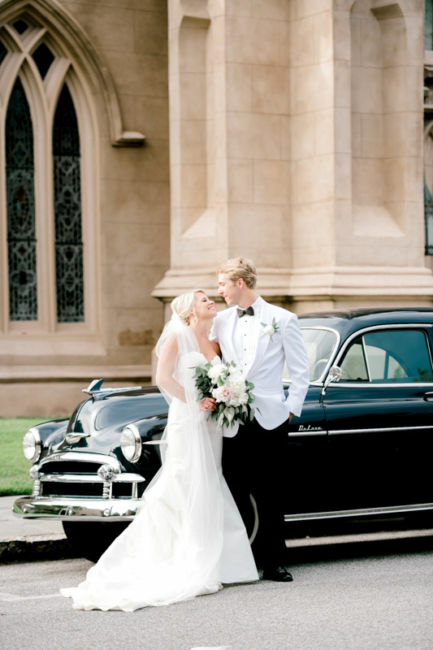 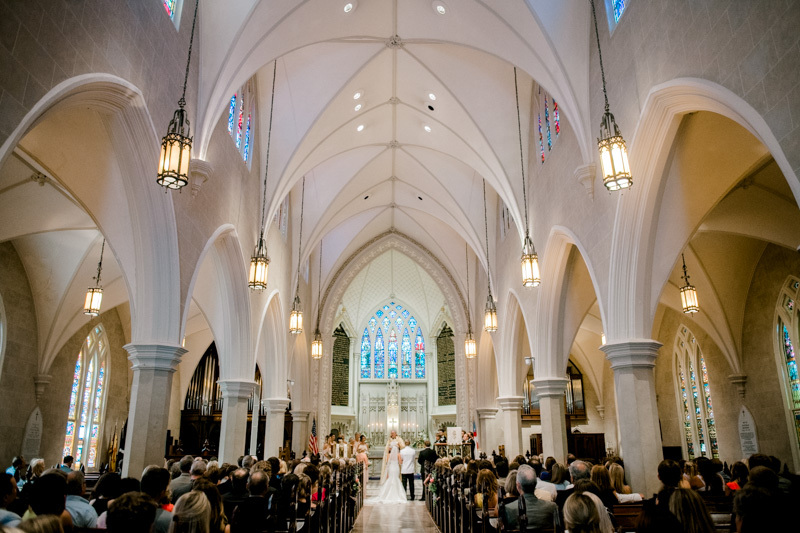 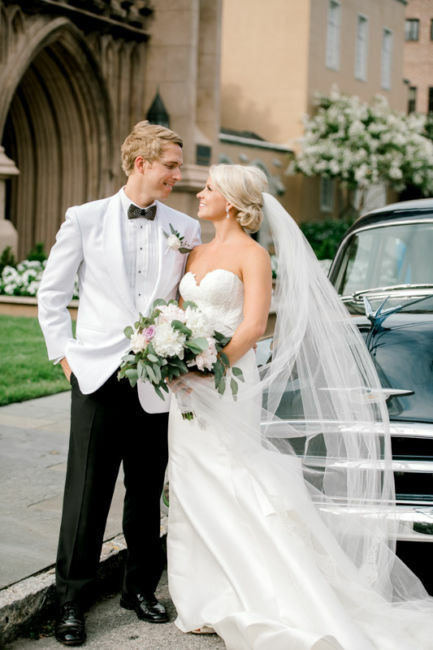 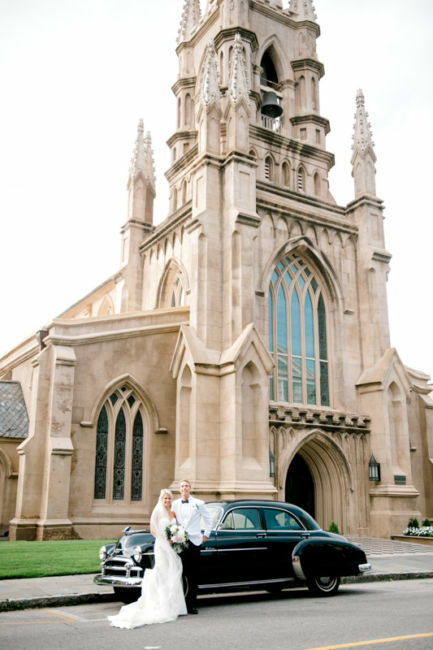 Whitney and Chris had a beautiful Friday wedding at Grace Cathedral. 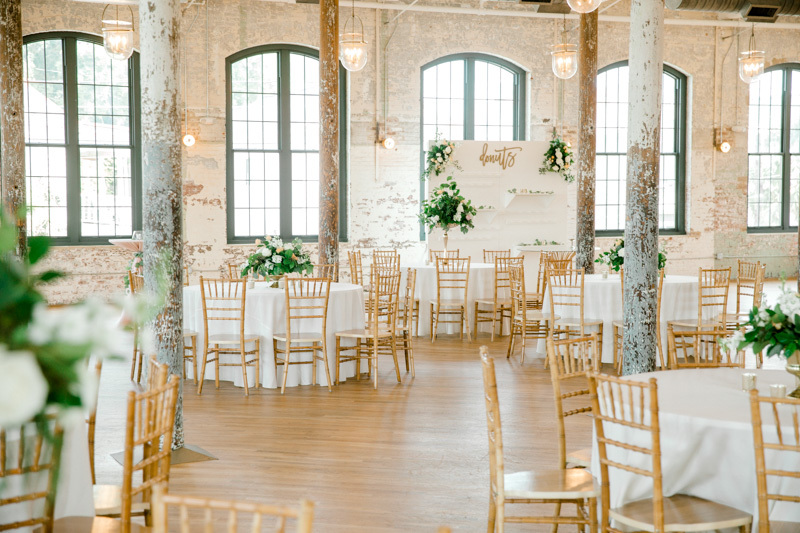 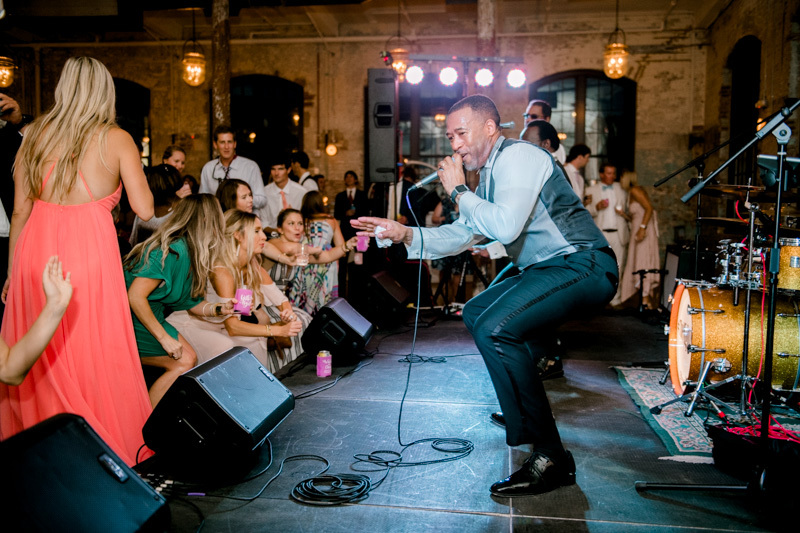 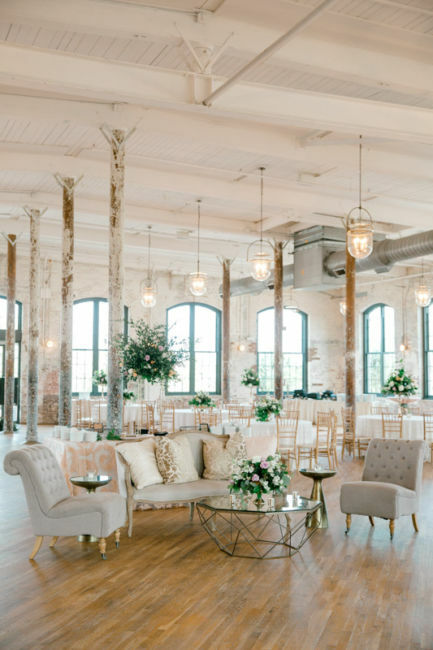 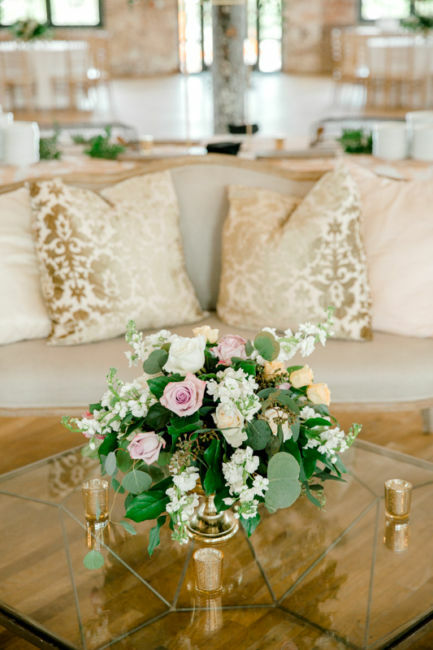 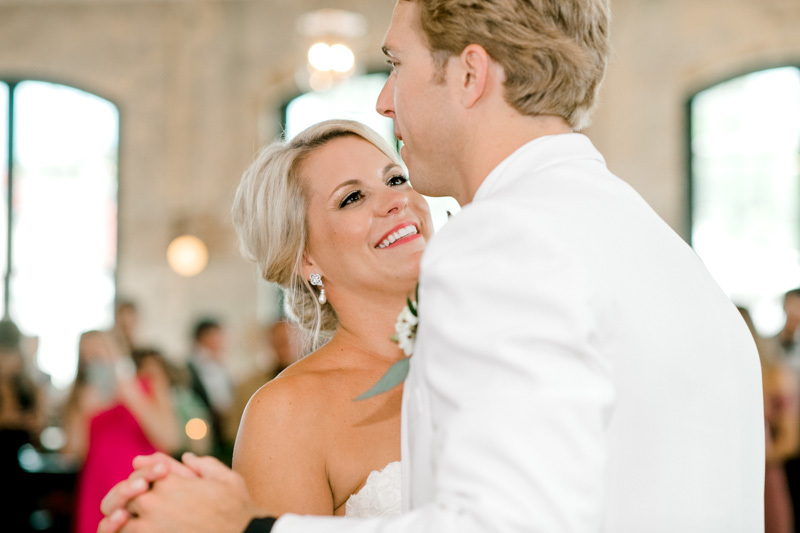 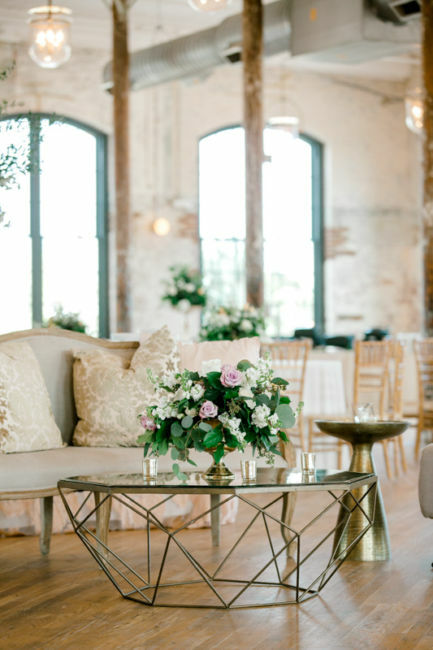 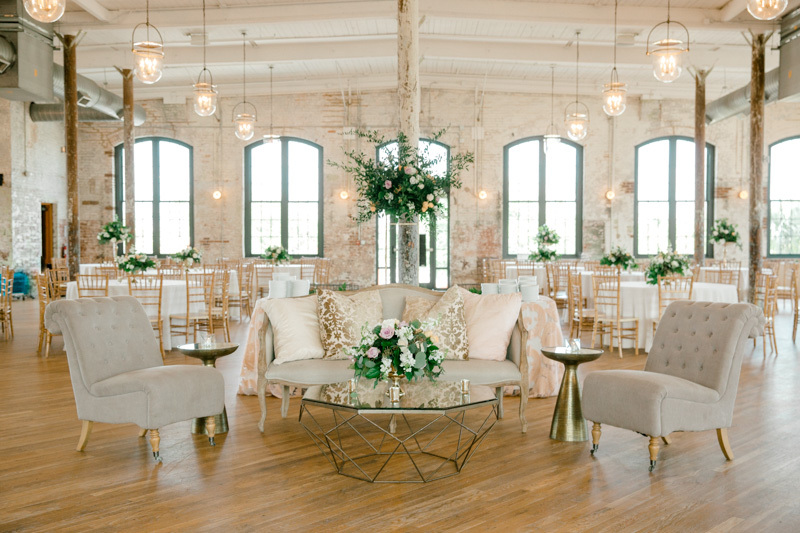 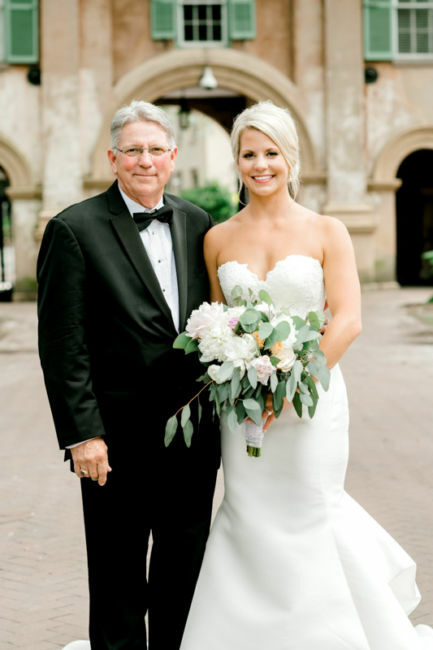 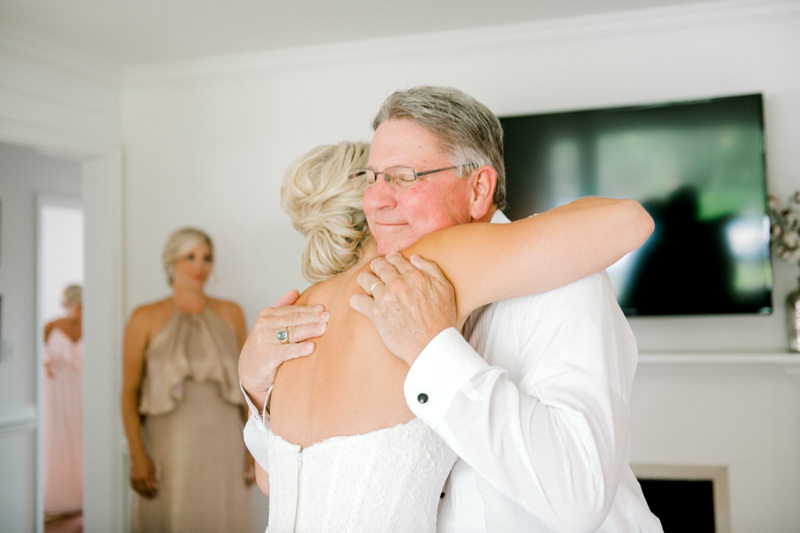 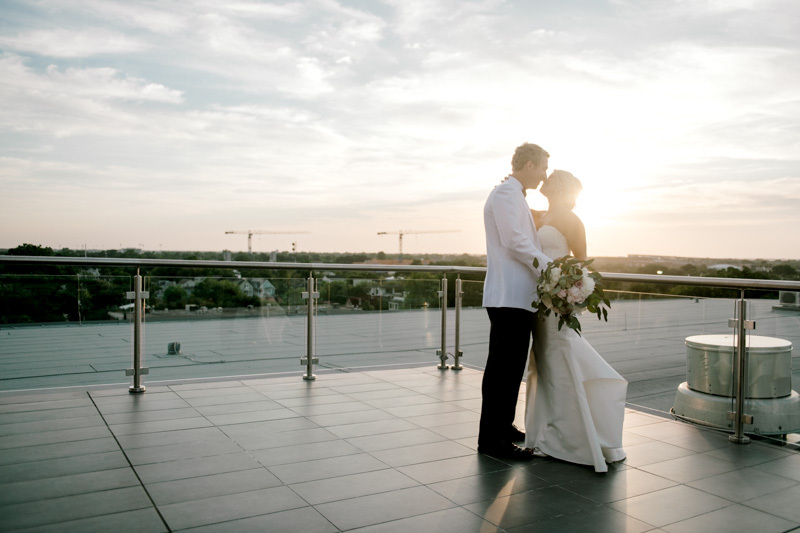 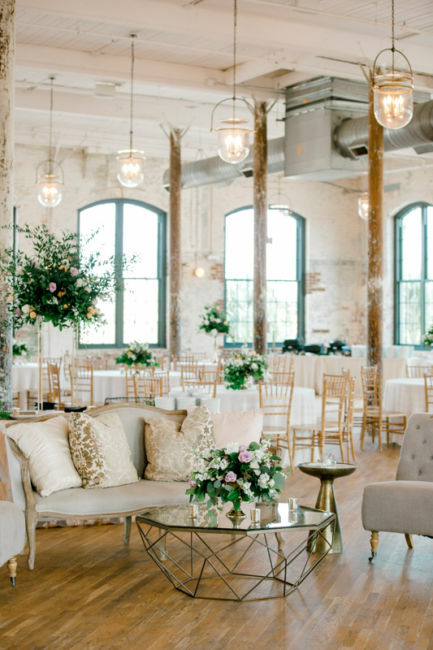 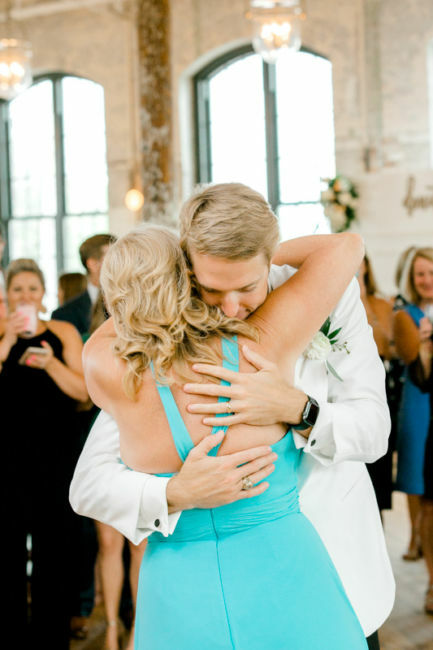 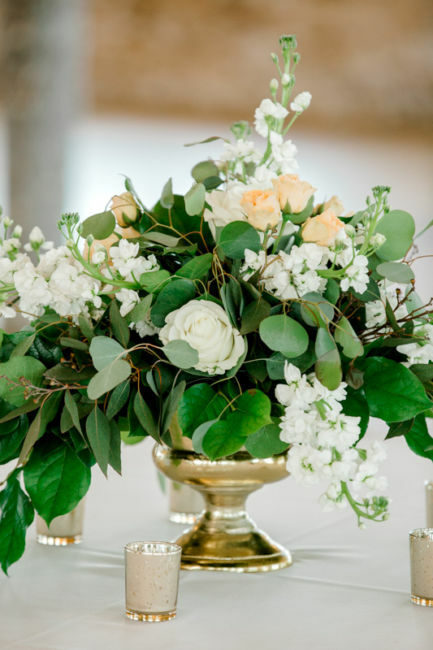 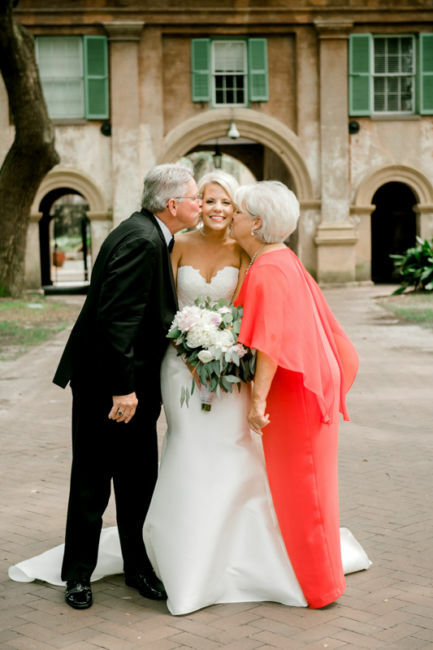 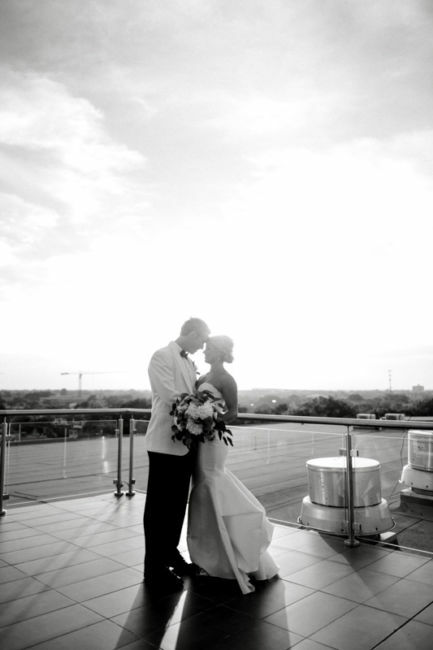 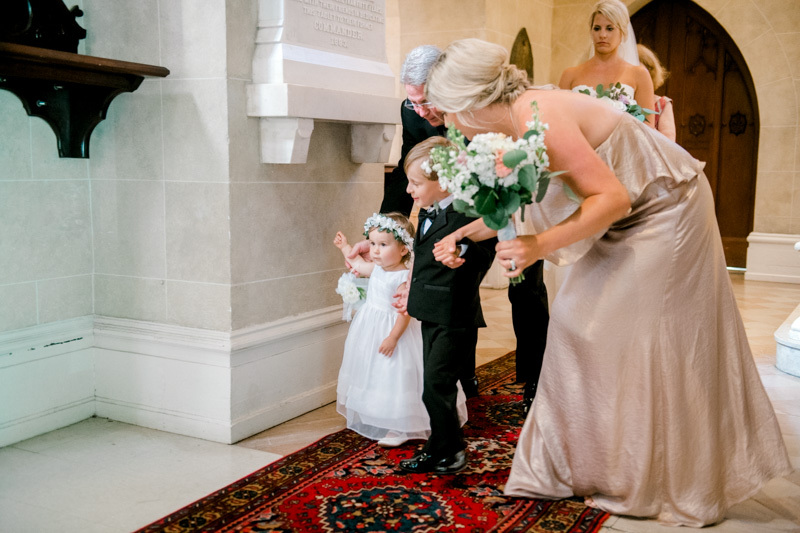 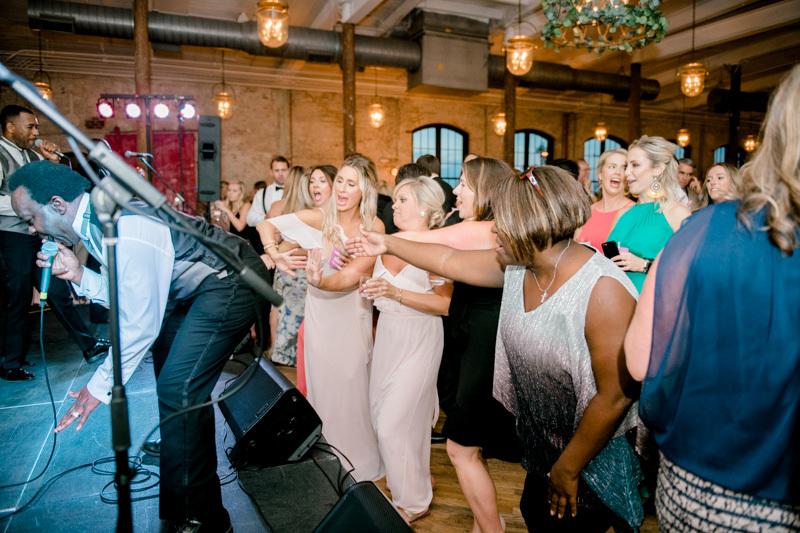 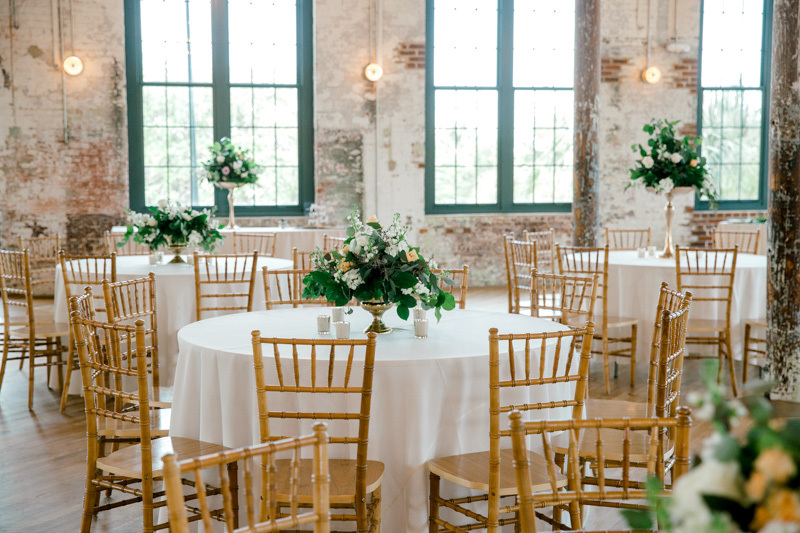 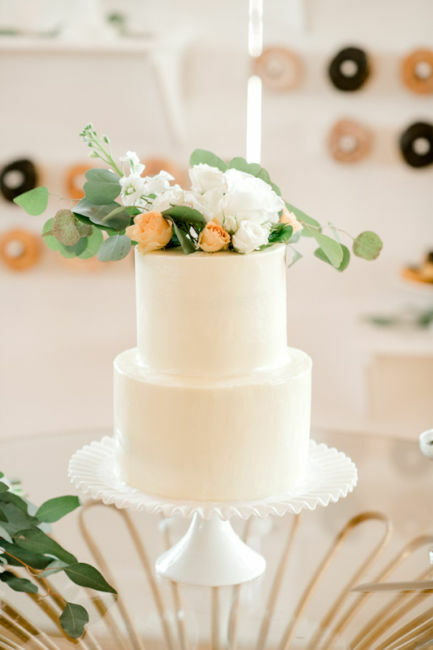 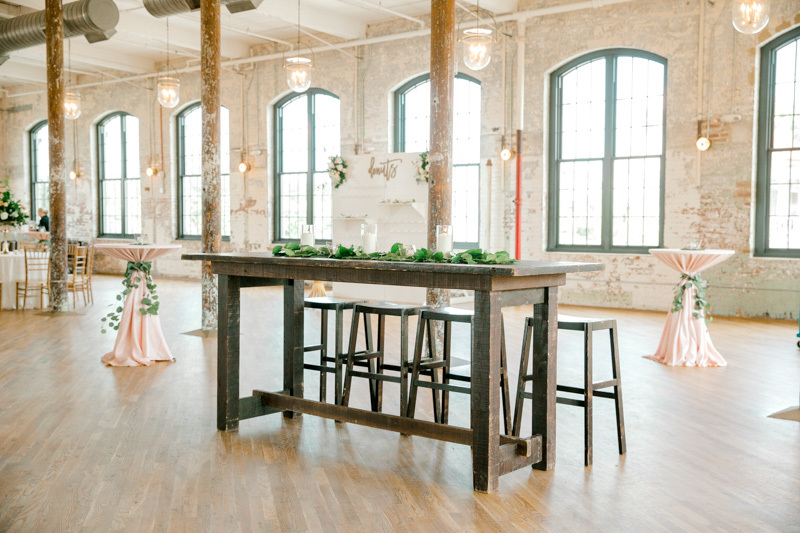 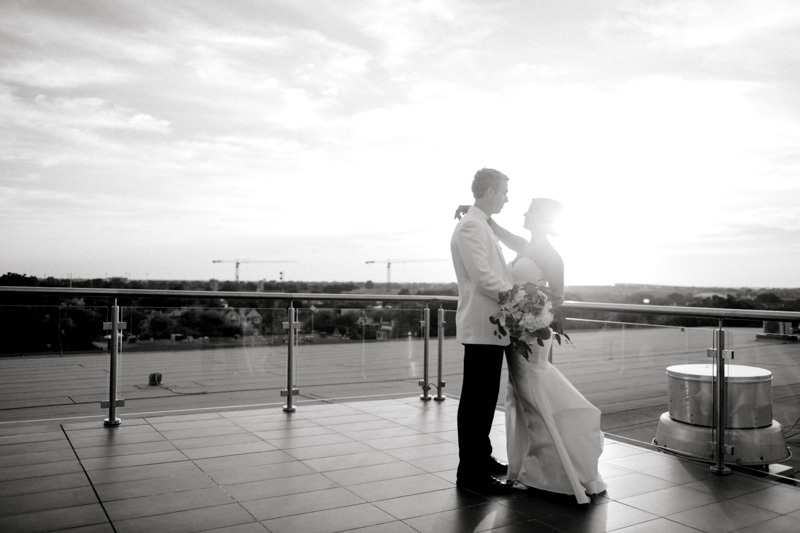 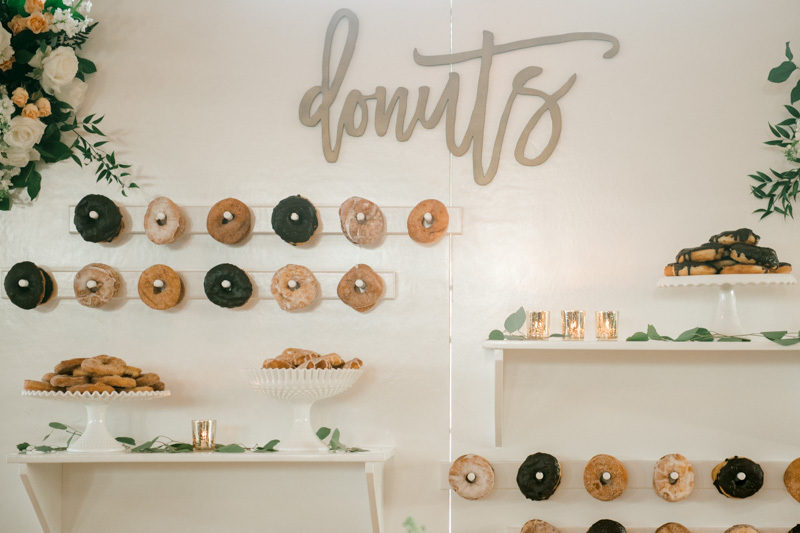 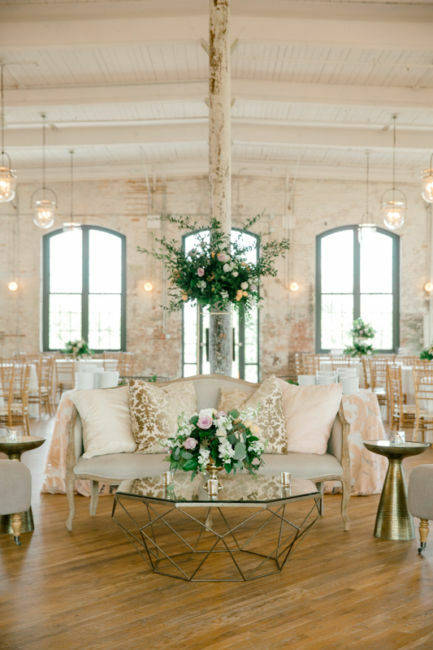 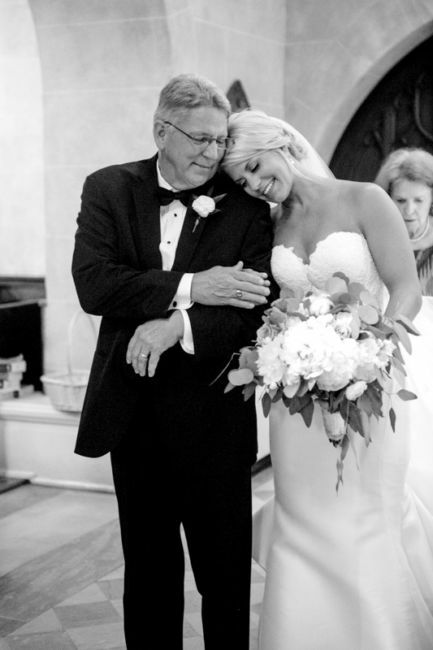 They were married on June 22, 2018, and celebrated at The Cedar Room. 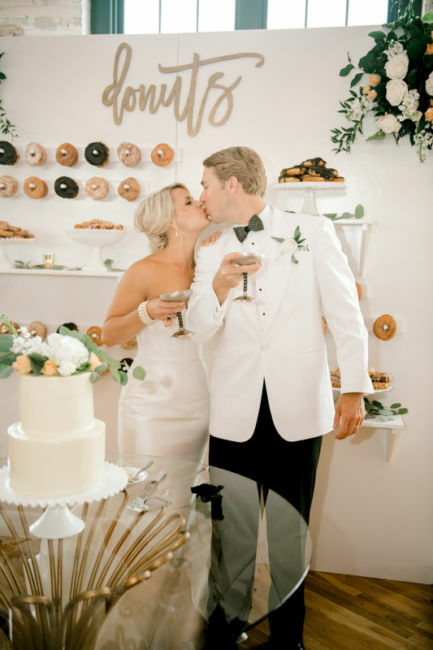 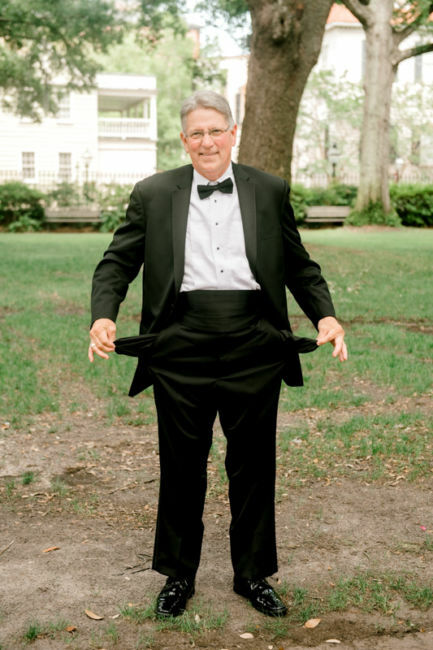 Their wedding day was full of love and plenty of fun! 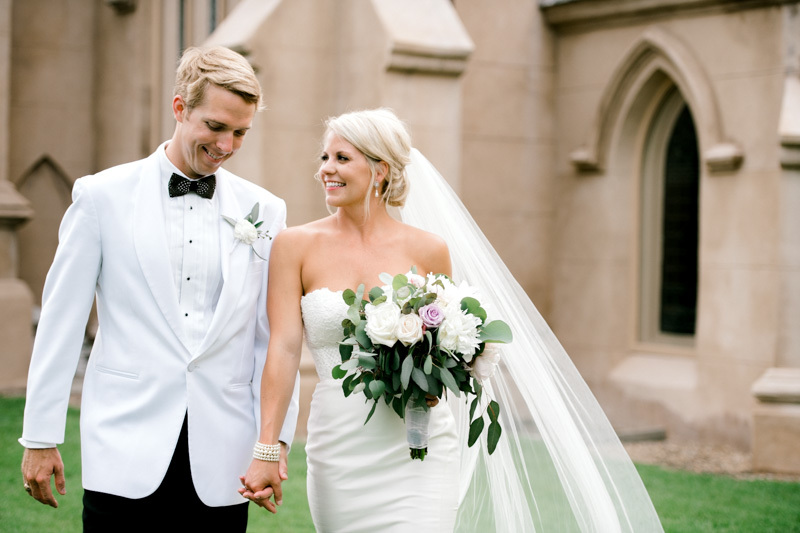 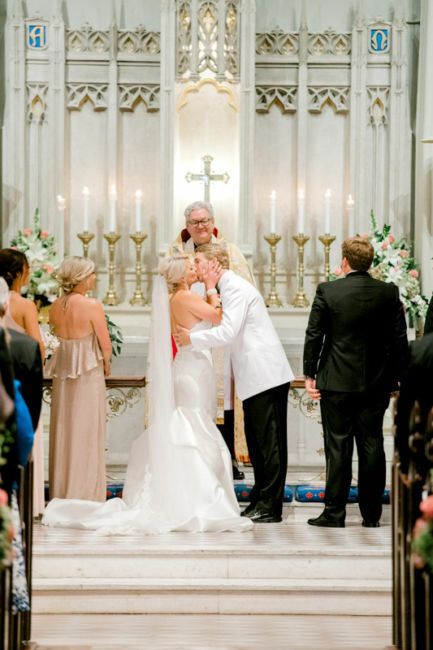 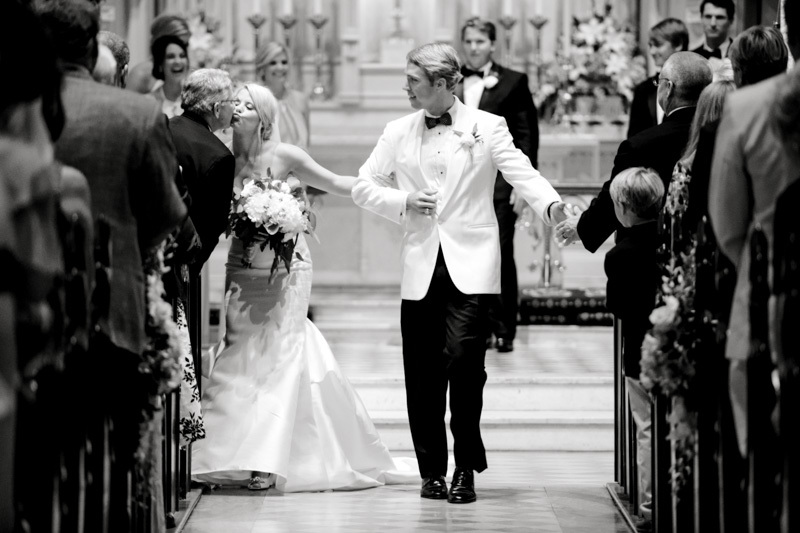 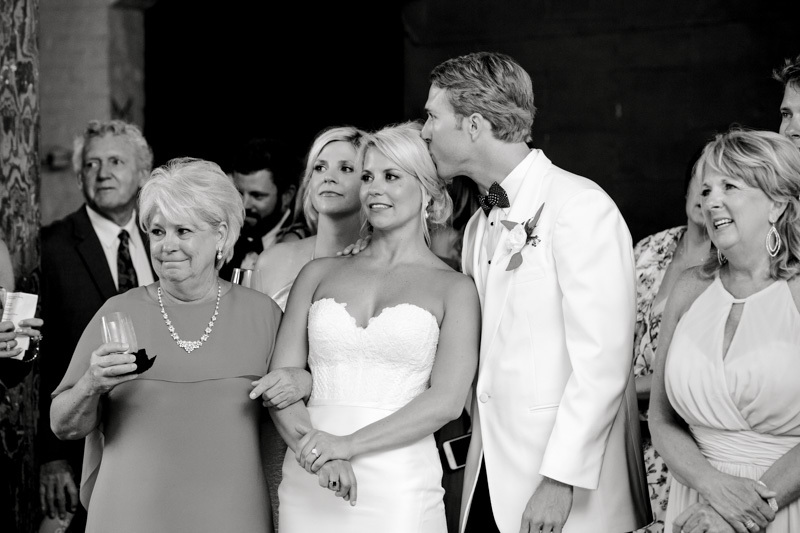 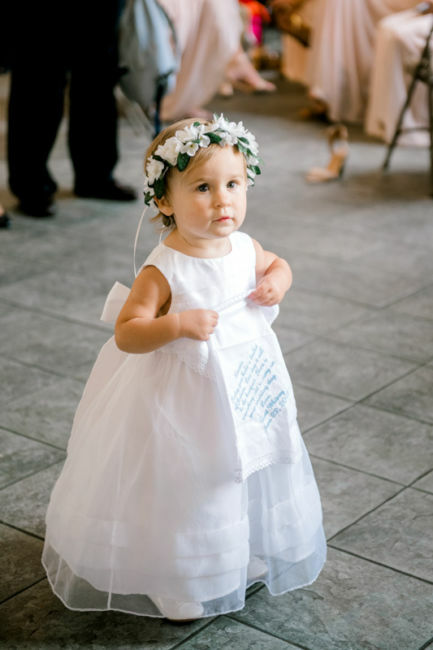 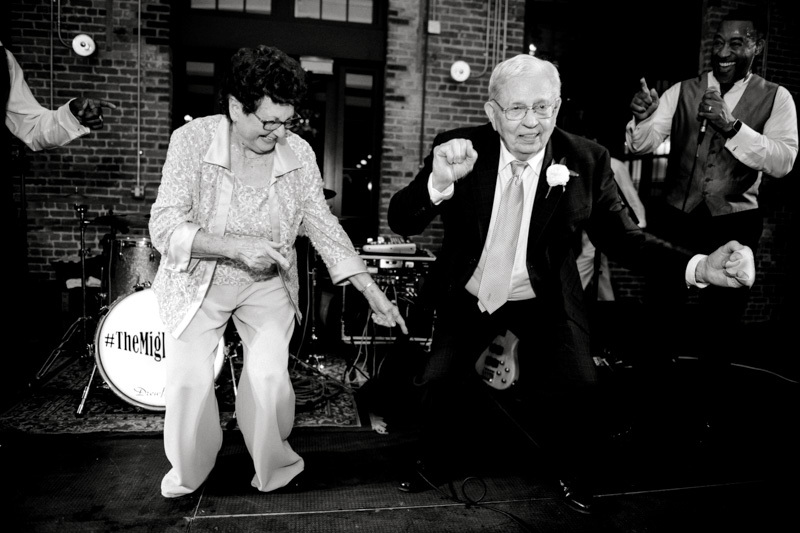 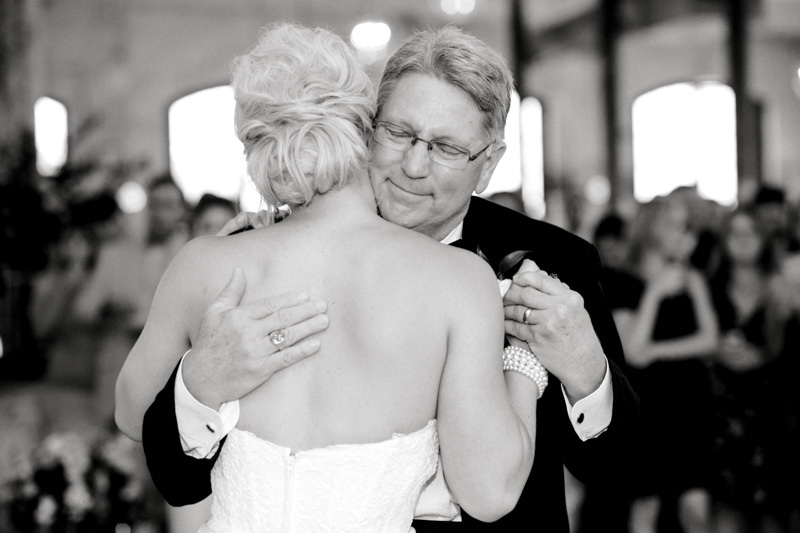 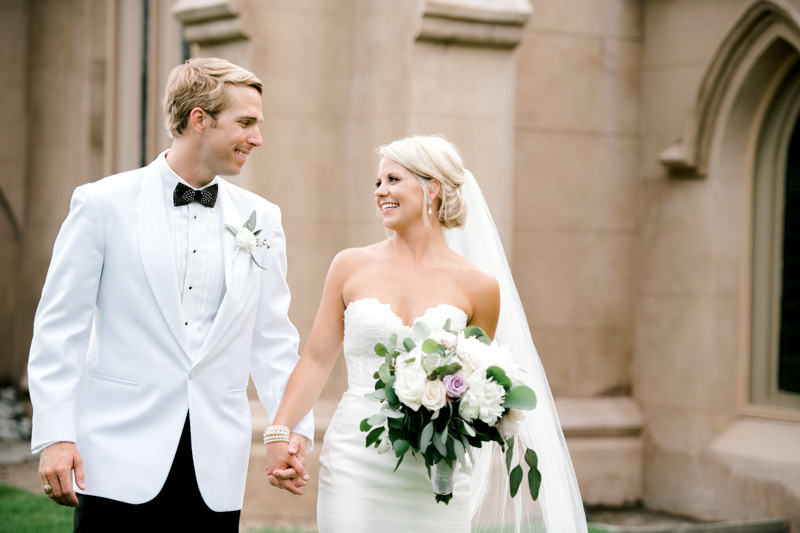 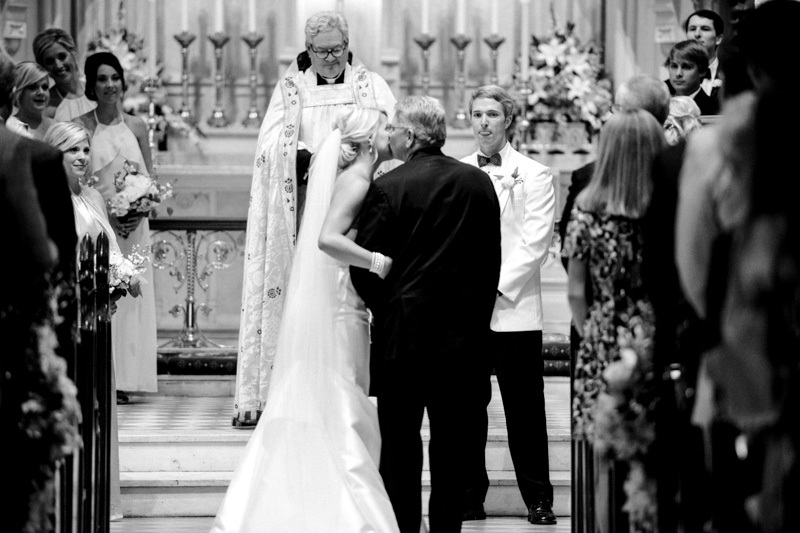 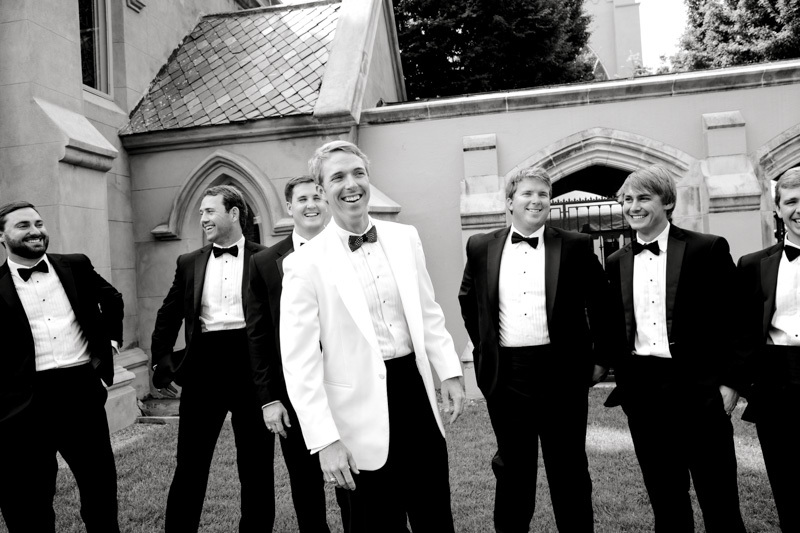 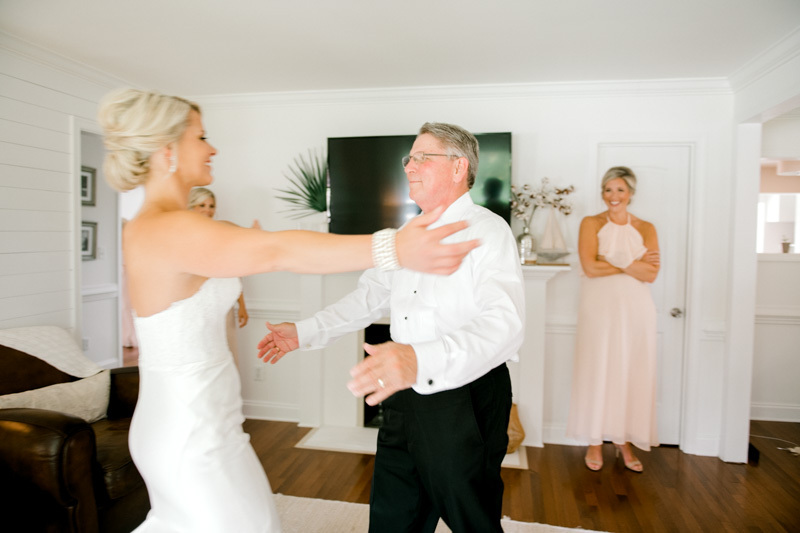 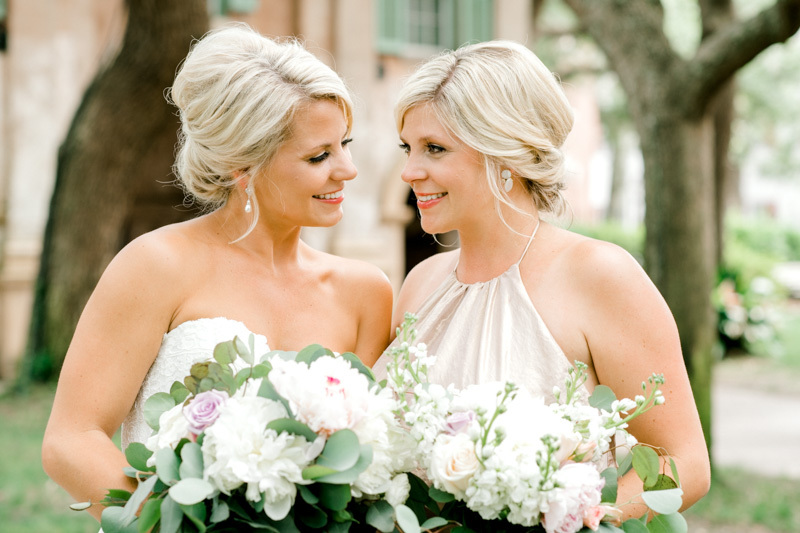 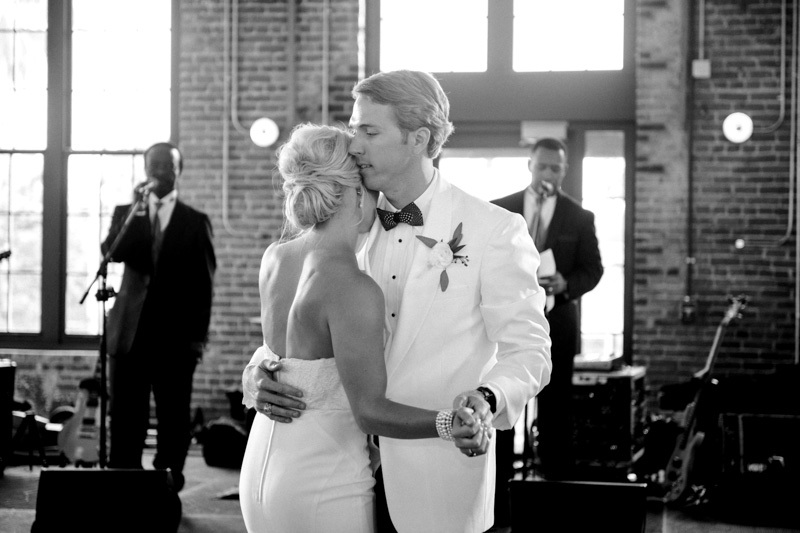 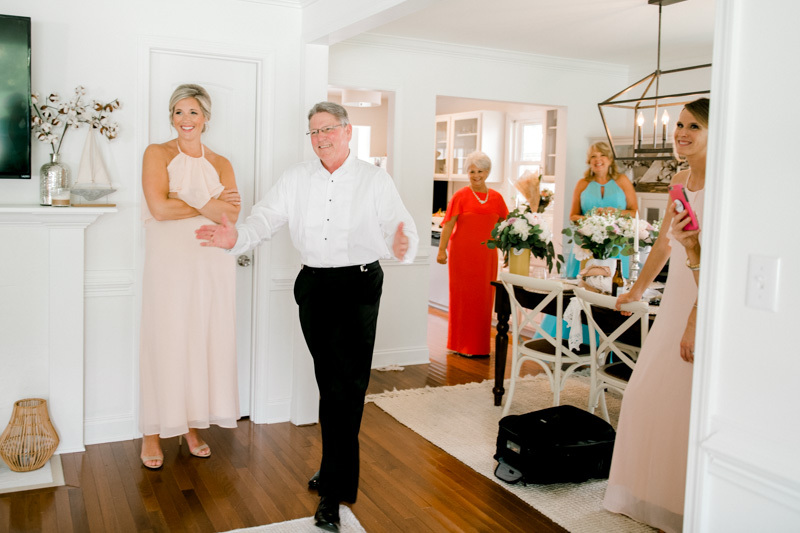 Their personalities shone through as friends and family celebrated their marriage! 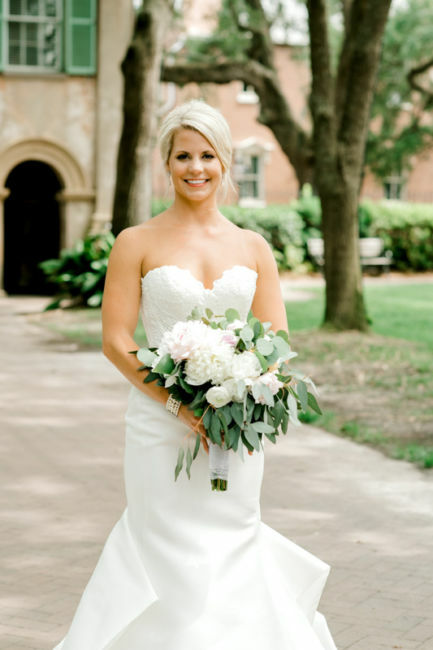 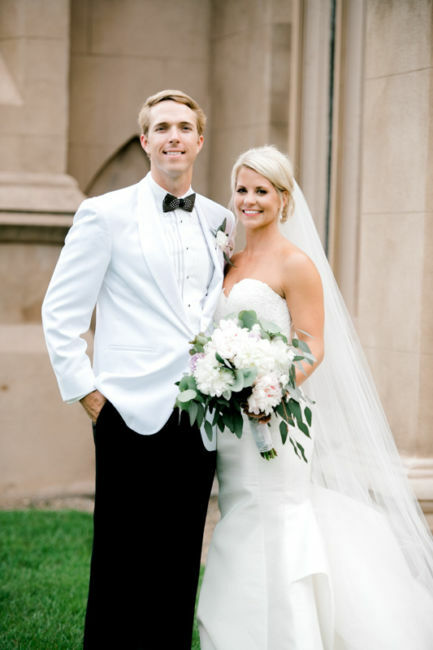 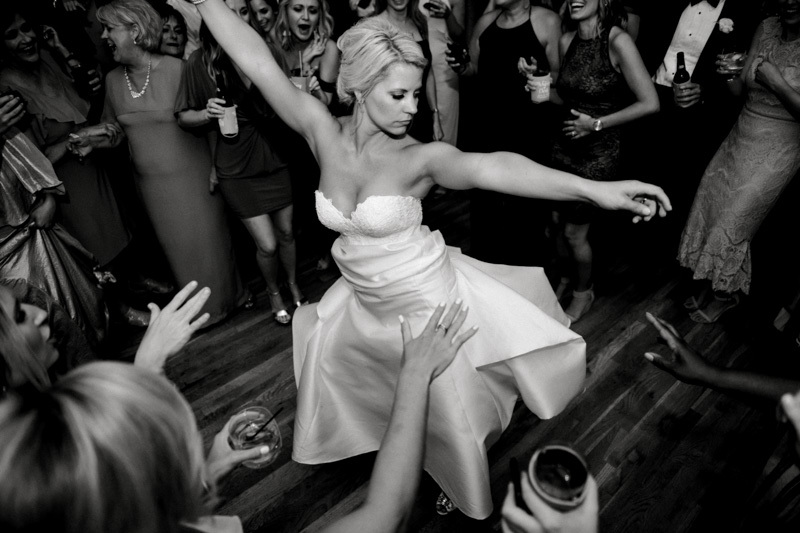 Whitney looked stunning in her Martina Liana gown. 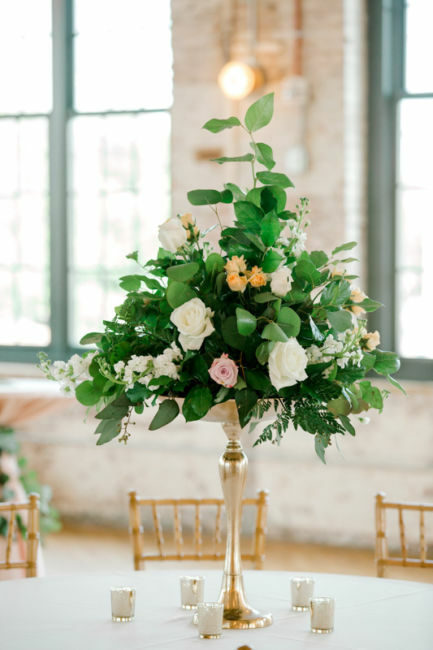 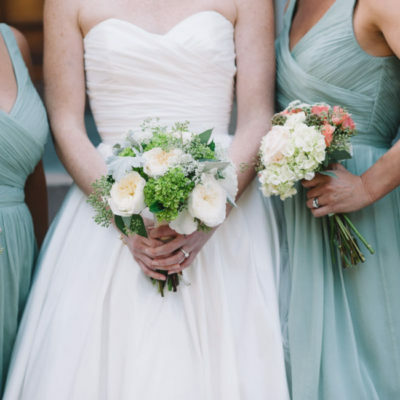 The white florals with pink and green accents looked beautiful. 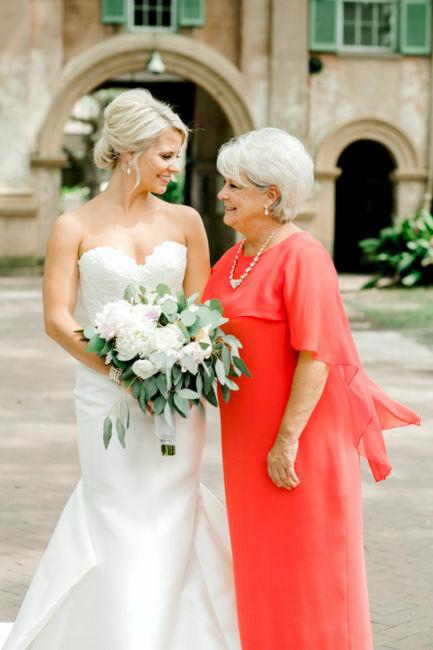 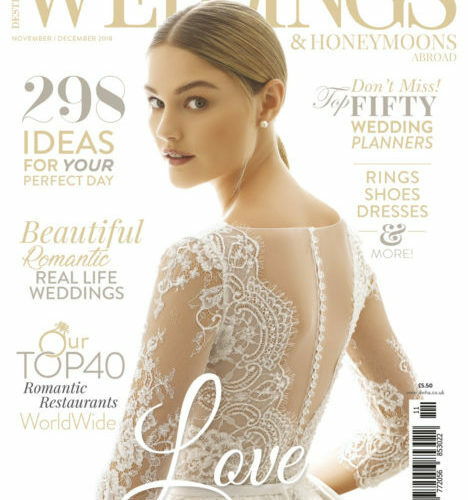 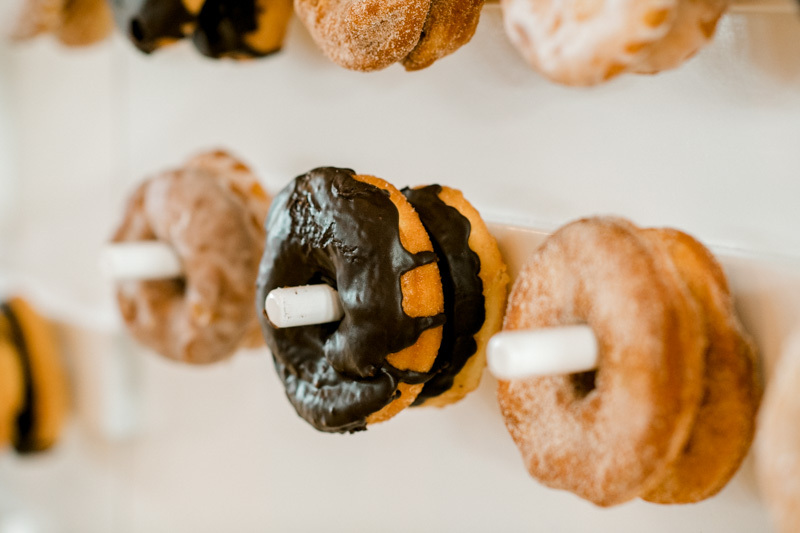 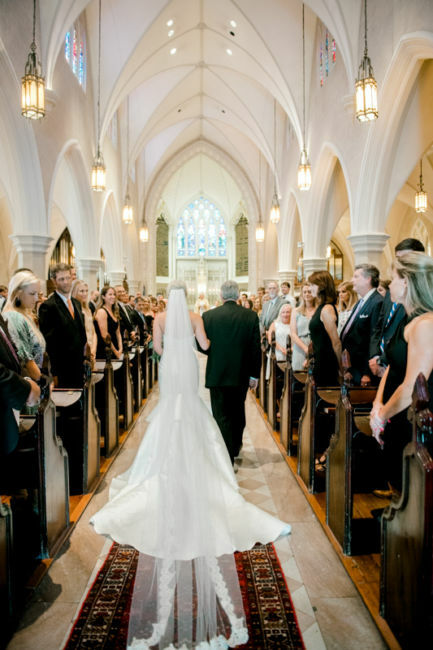 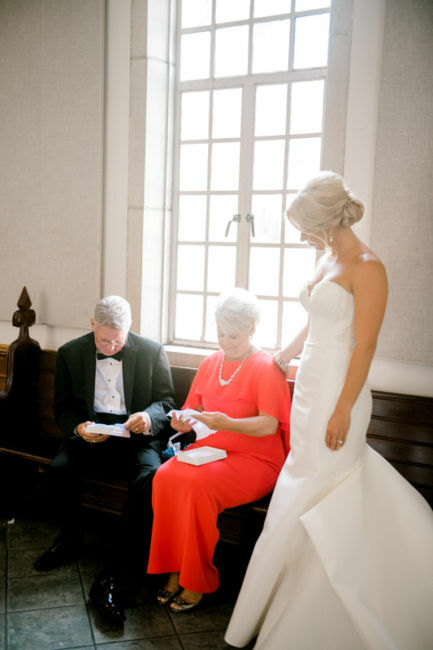 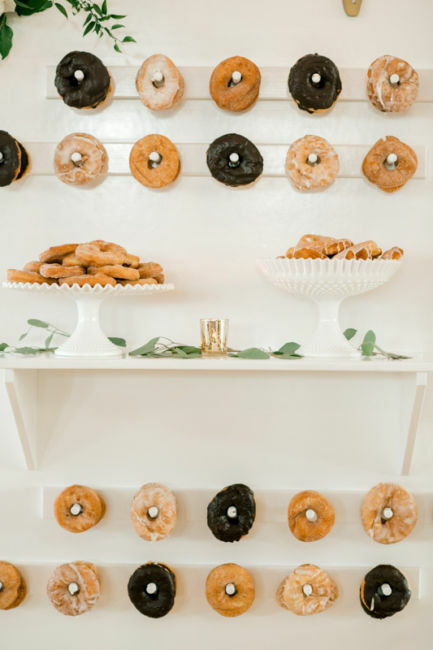 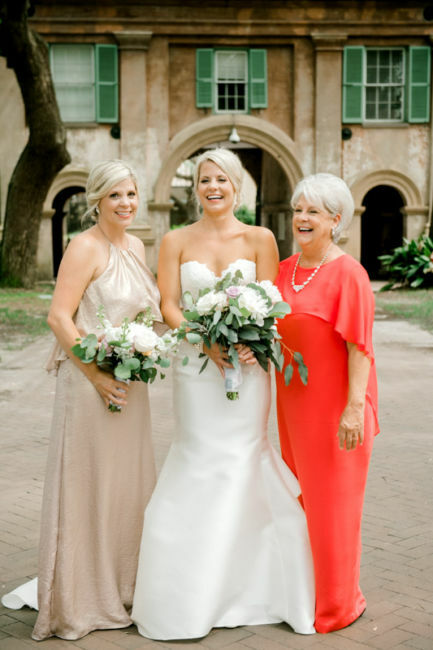 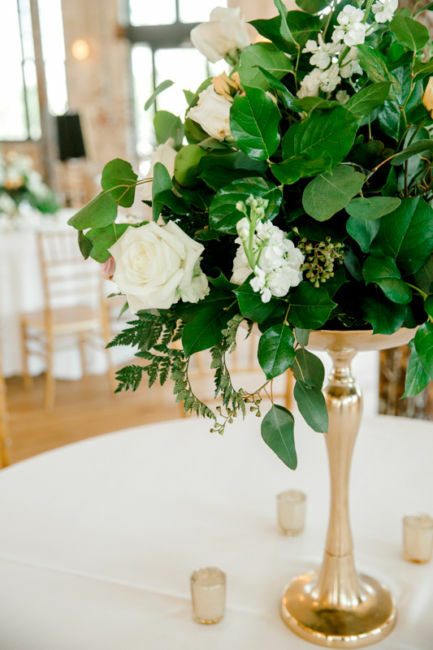 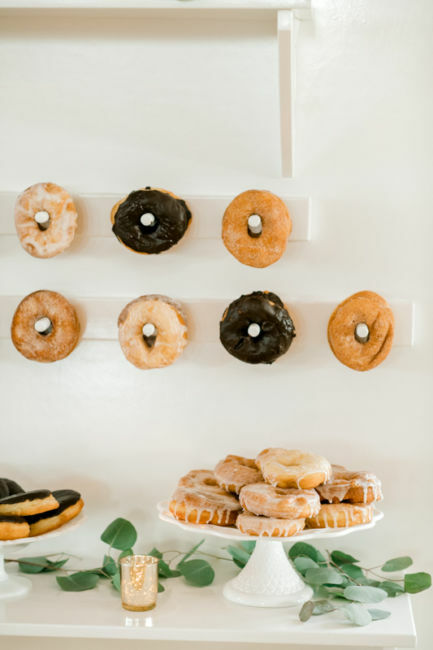 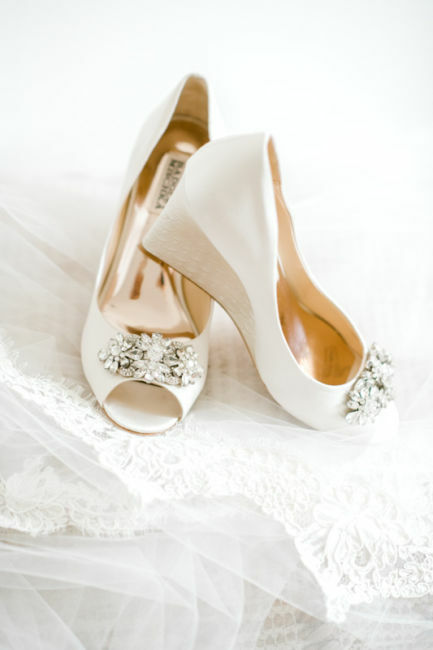 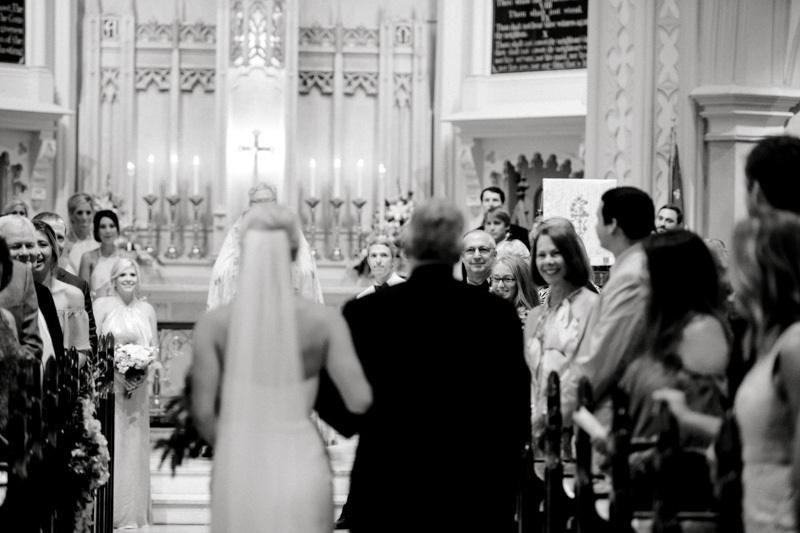 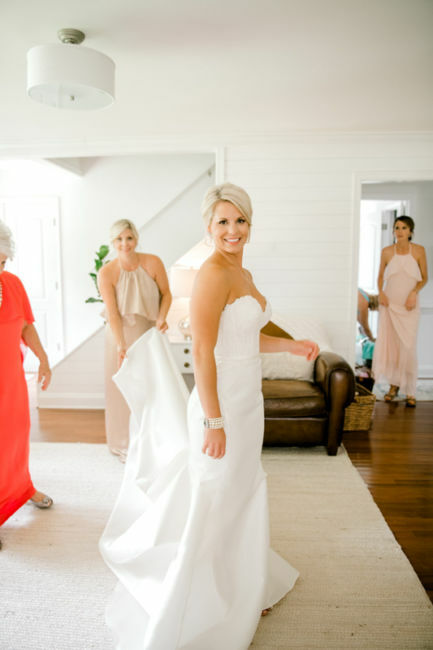 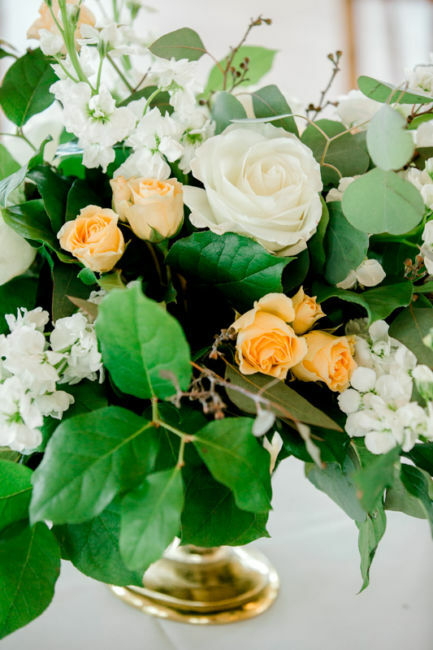 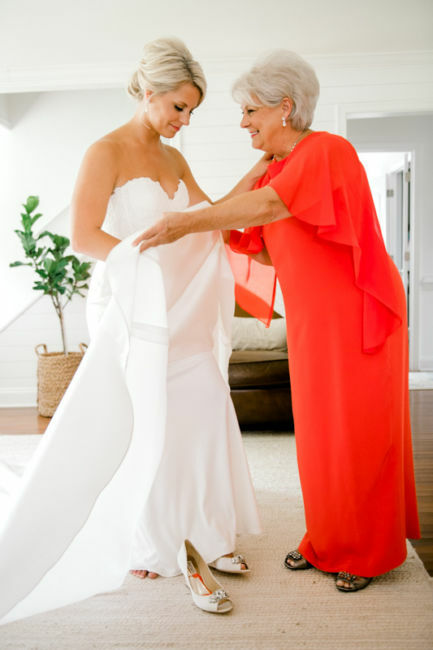 Wedding planner Margaret Mckenzie made sure the day went effortlessly.